Hey! Happy day to you! 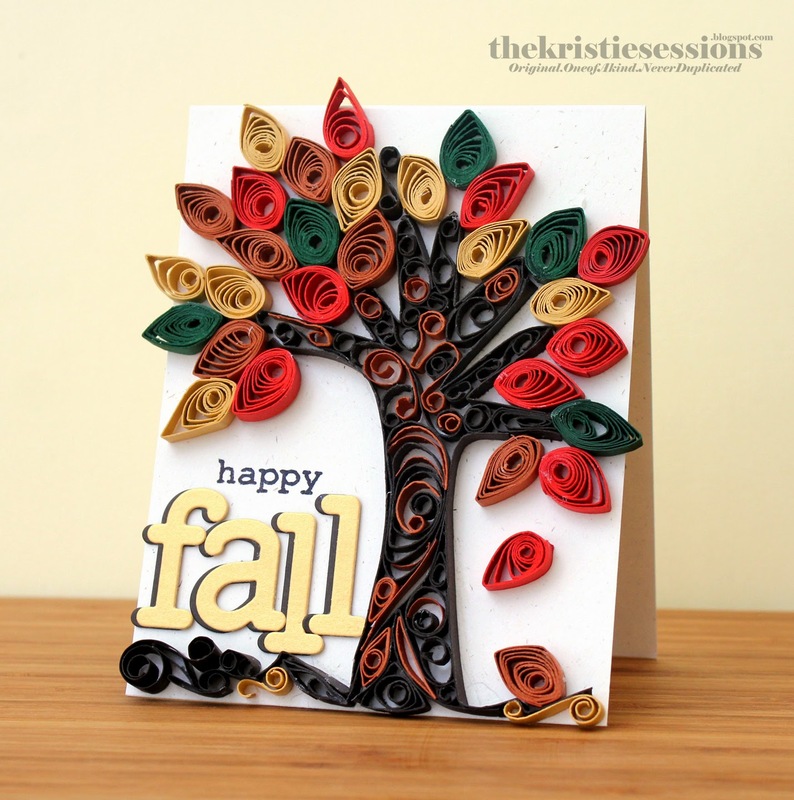 It's Kristie Larsen here with a fall card to share with you. Are you ready to get busy? 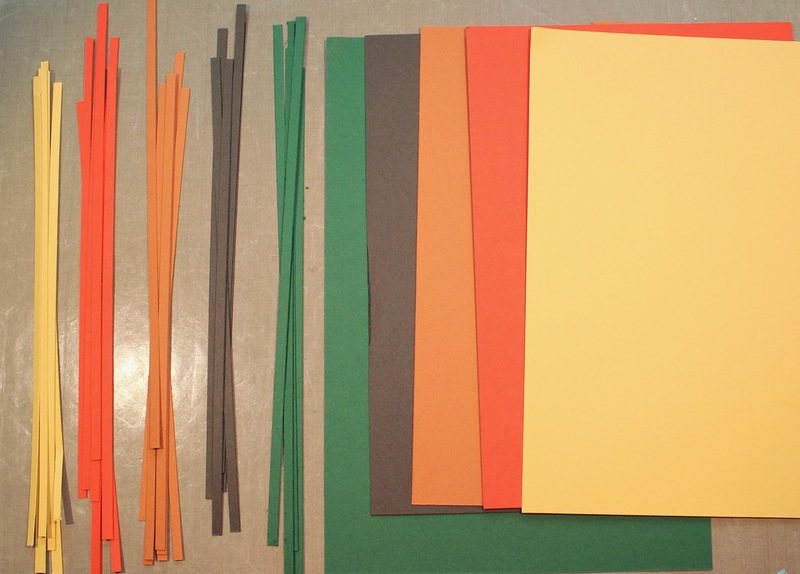 CutCardStock.com is having a discount on orange, brown and gold card stocks so I thought I would show you a fun way to use these amazing colours! 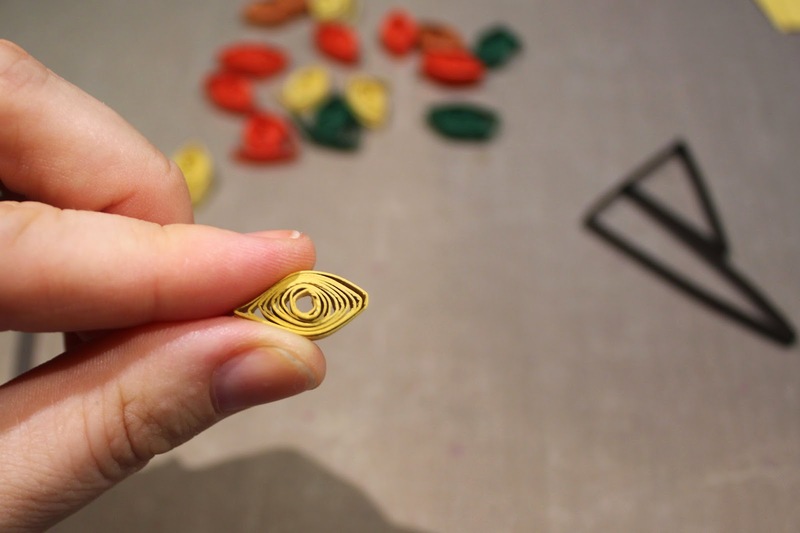 Now I want to say this... if you are a paper quilling person and have any knowledge in this area, you might want to turn back now. Cause the honest truth is, I am NOT a paper quill-er/quilling person. I'm not ashamed to say that this is my first attempt at it, so it is far from perfect. But you always have to do something for the first time and I did however find some really helpful tutorials on Pinterest that I would love to share with you. HERE is an array of styles to try out and HERE is the inspiration for my card today. 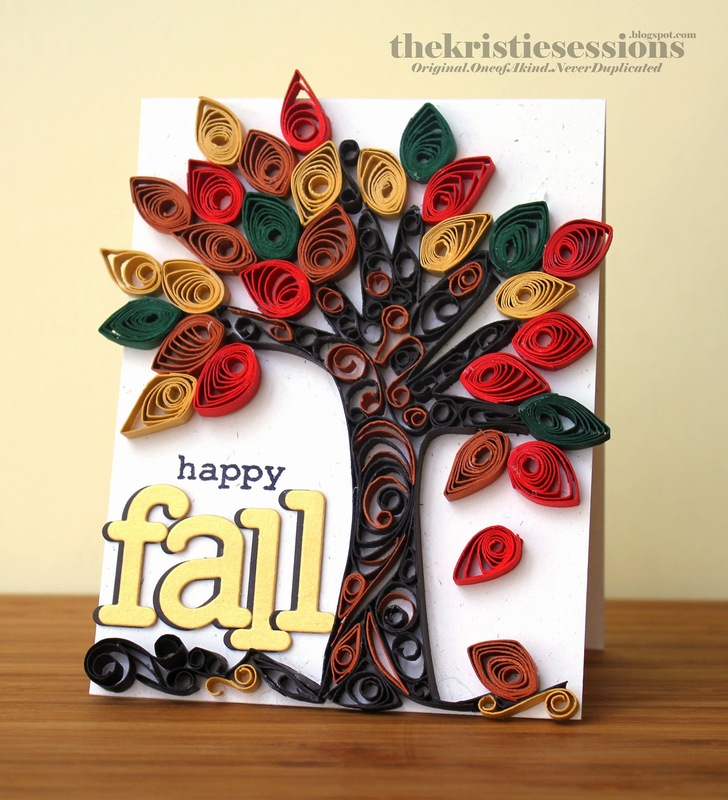 I love this tree and thought it would be amazing to make my own, but for fall of course! Now, with that disclaimer, and even though this is something that is new to me, I wanted to share a bit about how I did it so you can do it too. 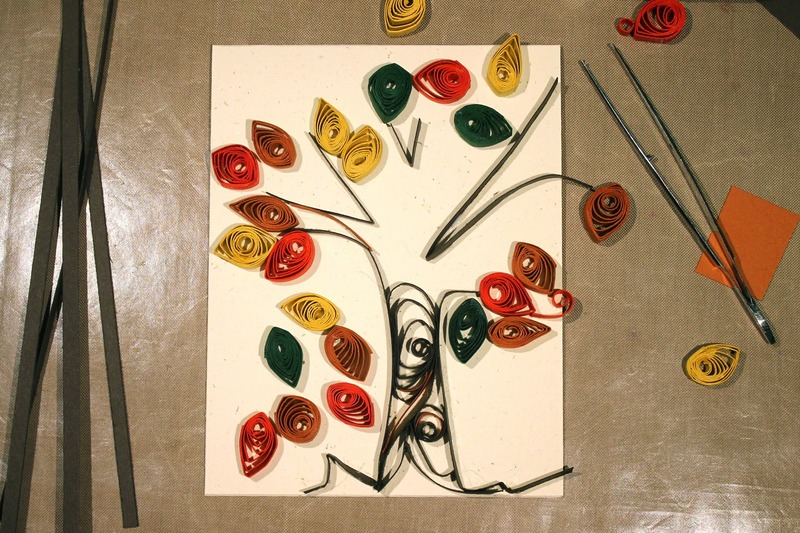 Because there is no reason not to try it just because we are not paper quilling people! 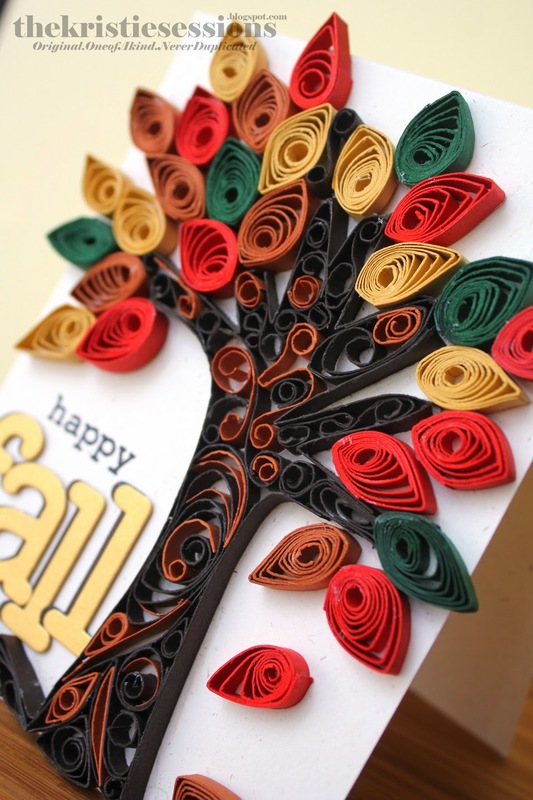 I know they have paper quilling tool kits and papers, but the Basic Colors from CutCardStock.com are thin enough to use for this and a good ol' fashioned toothpick worked pretty good for me. So I hope after today you will feel confident enough to track down your own toothpick and give it a try! I started by trimming my colours into little 1/4' strips. I wanted to add some green into my tree but mostly the colours are orange, gold/yellow and brown. All from the Basic Colors collection. Using the tooth pick I rolled a strip of paper tightly around it. 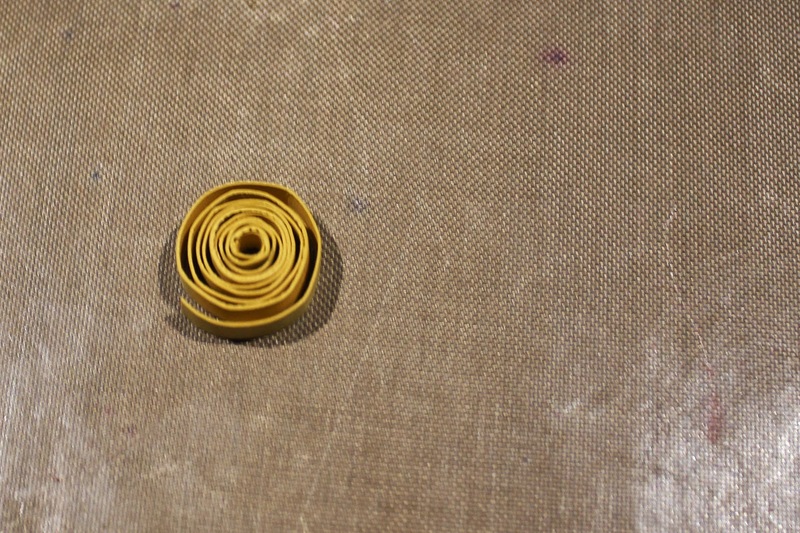 Once I pulled it off the toothpick, it sat in a coil like this. Now this is where you can start using those tutorials from Pinterest. There are so many ways to pinch and pull the paper to create different looks. I wanted them to be leaf like so I loosened the coil just a bit and glued down the end. I then pinched both ends but then pulled one end down taut and secured it with glue so one side was a point and the other a curve. Use the toothpick or tweezers to keep the curved end together while the glue dries. After gluing and pinching all the strips, I started to lay out my tree. I actually sketched out the shape of it first with pencil and then started gluing things down. The trunk is made up of folded and curved brown strips. I glued them all down using a white paper glue. I wanted my tree trunk to have more interest so I interspersed some lighter brown strips in there to balance the dark brown. I filled in the gaps of my design with little curls and swirls. 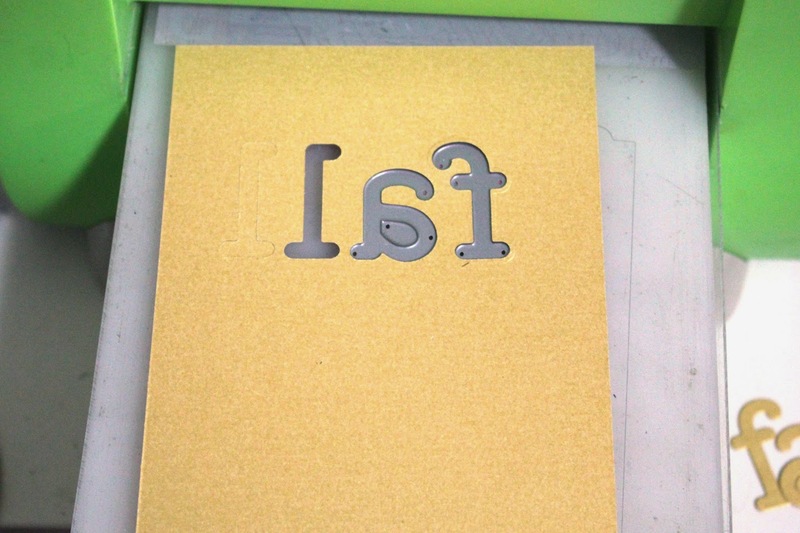 Next I took the gorgeous Super Gold paper from the Curious Metallics Collection to die cut my sentiment. It has this amazing shimmer I just love. I definitely need to get me more of it. I wouldn't mind an entire closet full! I wanted it to pop off the card base so I die cut 2 sets of the sentiment in brown as well and off set the letters just a bit to add some height and a bit of a shadow. Next I stamped and adhered my sentiment to finish it off! So now it's your turn. 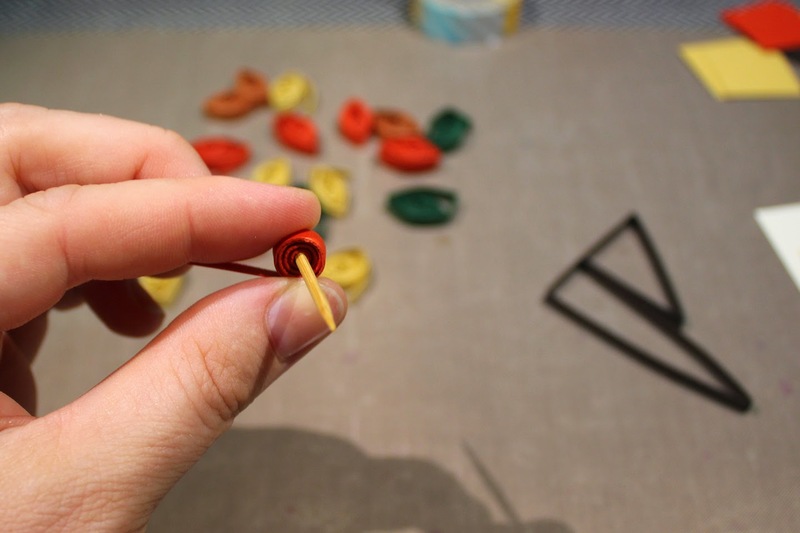 Have you ever done any quilling before? 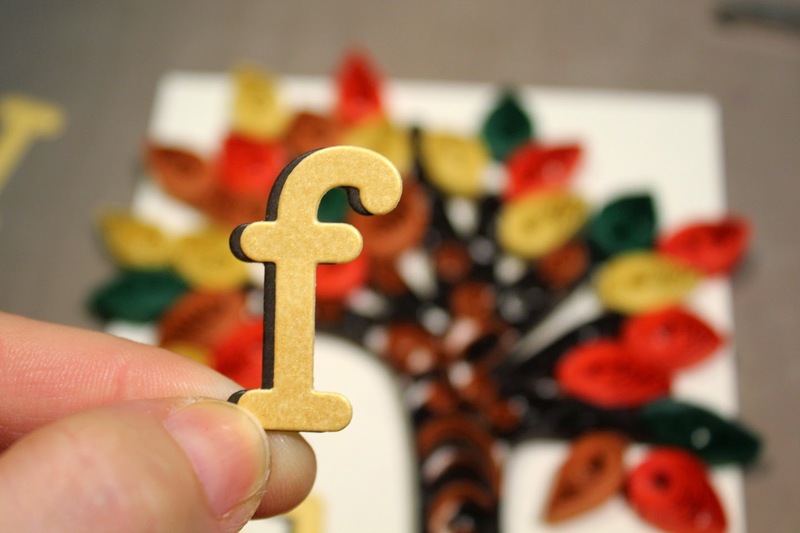 I have noticed a few stamp companies out there that have quilling stamp sets. But I think its much more fun to use actual paper. Do you like the style? Do you want to try it now?! I know it's making a comeback in a modern way and I think is a stunning way to craft! I would LOVE to see what you create! If you do, please stop on by and leave me a comment and I will hop on over! Thanks for joining us today at CutCardStock.com. And be sure to sign up for the newsletter to get all sorts of crafty in your inbox! Until next time.... just keep crafting!